Garbine Muguruza's Racquet - What racquet does Muguruza use? Garbine Muguruza has been a strong force in the women’s game from her first title in 2014 to her second grand slam in Wimbledon 2017. But the last year and a half have been more of a struggle. Last week she won Monterrey Open and seems to be back to winning ways. But what is Garbine Muguruza’s racquet? 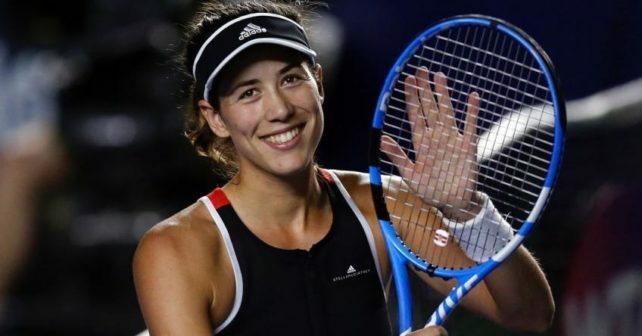 Muguruza endorses the latest edition of the Babolat Pure Drive (read my review of this powerful racquet here), but according to a stringer, Garbine Muguruza’s racquet is a paint job of the 2012 version and her specs are 303g and 34 cm unstrung balance. She uses Luxilon Alu Power but there are various sources around the tension she uses. It varies between 20-30 kg so it is hard to say what is true here. 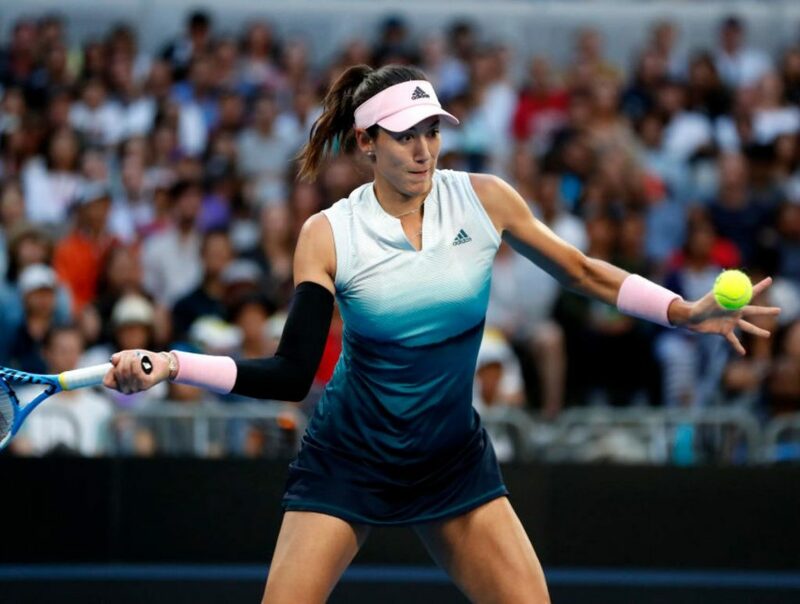 Muguruza hits hard and flat and a high tension will help her control her shots and the power from the racquet, but with the rather stiff racquet, a poly with a heavy tension sounds like a recipe for arm issues. But what works for the pro’s is not always what works for us mere tennis mortals. Also, the very head-heavy balance will help to reduce some impact and vibrations. The Babolat Pure Drive is one of the most iconic racquet lines today and is just a user-friendly racquet with a lot of power and spin on tap. There are many players of all levels that use the Pure Drive in some form, but some of the more famous users in history have been: Carlos Moya (who popularized the racquet, although he used a Babolat Soft Drive for most of his career), Andy Roddick (extended racquet), Li Na, Kim Clijsters, and Fabio Fognini to name a few. The Pure Drive is what brought Babolat into the spotlight as a racquet manufacturer and the line that later birthed a brother called the Aero Pro Drive/Pure Aero, which Rafael Nadal made famous. Enough talk about the racquet. Let’s hope the Monterrey win inspires Muguruza to win bigger titles again and have a strong 2019. You can watch the highlights of her win against Azarenka below. Have you ever tested the Wilson BLX Pro Cobra? She plays with a racquet very different from those sold in the trade. This is not a stiff puredrive frame because it’s impossible to string a stiff racquet with alu power at 27 kg . Like Tsonga, fognini and many pro, her racquet is 62 or 63 RA . Not more. Another frame completely different from those sold. Retail babolat frame is a bad racquet with no control.